Live plants area great source for an aquarium habitat to keep fish healthy. The main function of plants in an aquarium is to provide a natural ecosystem within the tank, as plants are natural resources for food and oxygen. 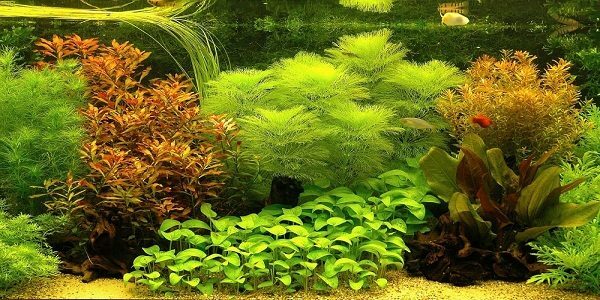 Besides absorbing the CO2 in the water,plants also use remove the ammonia in the water, which is highly toxic for fish, providing better water quality and maintaining the chemical balance. Furthermore, algae growth is suppressed by plants allowing for healthier swimming for your fish. Live plants should be suitable with the aquarium type and fish species. For the beginning, it is recommended to choose hardy plants, such as Sagittaria,before you gain more experience in the aquatic plant nursery. Like garden plants, aquarium plant growth is contingent on high-quality substrate. Additionally, plants need lighting for a minimum of 12 hours for a day whether it is natural light or a grow light. Most plants have an optimum water temperature between 75-82° Fahrenheit(24-280C),a pH level between 6.5 and 7.4, carbonate and general hardness should be 5 and 8 respectively, and a CO2 level lower than 40 milligrams. To begin your planting, first add the plant substrate on the surface of the aquarium and fill the tank with 90% non-chlorinated water. Check all the water parameters,especially the pH and hardness levels. If needed, add a water conditioner to adjust to the optimal pH. For healthy growth, a special plant lamp is necessary;if the aquarium light is fluorescent, replace it with a special plant lamp. At this time, you can install the filter and the heater as well. Next, you will add the plants to the aquarium and let them stabilize in the tank for 2-3 weeks prior to the addition of fish. Fertilization is another important step for aquatic plant growth so be sure to follow instructions on how much fertilizer and how often to do it. After the fish are placed in the tank, monitor all parameters including the chemical balance, the water filtration, the fish adaption, and the plant accommodation. Choosing the right plant(s) will make plant maintenance easier. For freshwater aquariums, hardy plants such as Sword plants and Anarchies are suitable. Fish and plant types should be compatible with each other, as some fish species like digging and may eat the plants in the aquarium. Plants need substrate to grow and develop since plant roots will penetrate the substrate in the bottom of the tank. Adequate lighting is crucial for photosynthesis,a chemical process all plants are dependent upon. Fluorescent lighting should last for 10 to 12 hours per day and lamps should be changed every 12 months. Algae occurrence is a vast problem for plant development because algae and plants compete to use nutrients and light. There are several ways to impede algae production;chemicals are available for algae elimination, but they may be toxic for plants and fish so do research before taking on this task. Herbivore fish species and regular tank cleanings will help to prevent algae accumulation in the tank. Fertilizers are necessary for healthy plant growth; however, phosphate fertilizers will cause algae accumulation. Marine plants have an important place for saltwater fish species. They are a food source and also shelter for fish. Taking care of aquarium fish and plants are the fundamental requirements of a healthy aquarium. The main factor for plant growth is lighting. All plants will suffer from a lack of lighting and won’t produce oxygen. Harmony and balance between saltwater fish and plants are very important. Plants and fish need optimal temperatures and pH to live; these parameters should be appropriate for each species. 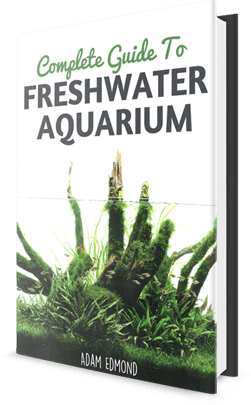 Algae can be an extremely dangerous factor within a saltwater aquarium.Once algae penetrate the roots in a marine aquarium,its occurrence can be a deadly problem. Algaecides, antibiotics, herbivore fish, and insects may be useful for algae removal. In the case of extreme algae accumulation, food and light amounts should be minimized. Saltwater aquarium maintenance should be done very carefully without skipping any necessary cleaning steps. Water changes are the main phase of the aquarium maintenance. Weekly changes of 25% of the water should be done, as regular water replacement will reduce algae amounts. All dried roots or damaged, yellow, and decaying leaves should be removed prior to planting. When the new plant reaches one-third the size of the parent plant, they can be separated from each other. High-quality substrate, fertilizer, water, and strong lighting and CO2 will contribute to excellent plant development. Plants should be clean from algae spores. Incandescent light is common for aquarium beginners, but it will change the aquarium water temperature quickly. Fluorescent lights are more appropriate for aquarium maintenance. Healthy plants should be purchased from a reputable store. If the fish in the aquarium look healthy do not put a plant from another aquarium in the tank, as harmful microorganisms can infect your fish. Sterilizing plants before putting them in the tank can prevent fish from diseases. Plants can be kept in potassium permanganate for several minutes and rinsed out well to prevent this.